The Wild is embarking on four straight home games, including against teams below it in the standings. It faced a stretch like this in the past, playing four in a row last month against some of the NHL’s bottom feeders. 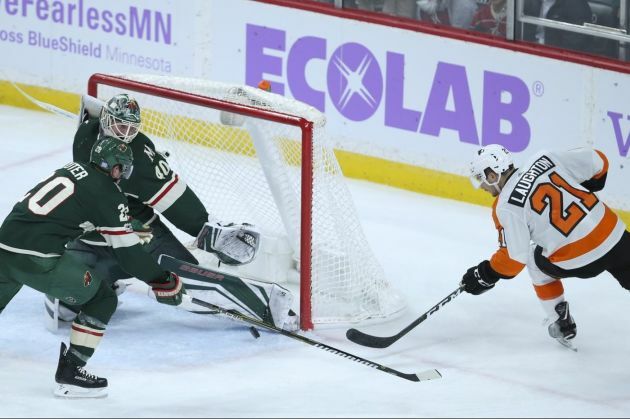 That run didn’t go well, as the Wild went a disappointing 1-3, but it has a chance at a do-over starting Tuesday at Xcel Energy Center against the Flyers. After hosting the Flyers, who are two points shy of the Wild in the overall standings, the Wild will encounter the Devils – whom the team outlasted 4-2 over the weekend in New Jersey – before running into the Blues and Ducks. St. Louis has the same amount of points as the Wild (59), but the Blues are one spot ahead of it since they has two games at hand. Anaheim, still sputtering amid seven straight losses, is eight points behind those two. During the middle of January, the Wild had a similar opportunity against struggling teams by playing the Red Wings, Flyers, Kings and Ducks. But after losing to Detroit on home ice, the team fell on the road in Philadelphia before eking out a shootout win over Los Angeles. It then was blanked 3-0 by Anaheim, a result that snapped the Ducks’ franchise-record 12-game losing streak – a letdown that should be fresh in players’ mind as they attempt to fare better this go-around. 10: Points for defenseman Ryan Suter in the last 13 games. 292: Career points for Suter with the Wild. .923: Save percentage for goalie Devan Dubnyk in his career vs. the Flyers. 43: Points for center Eric Staal in 53 career games against Philadelphia. 3: Goals for center Mikael Granlund in his last 39 games. Philadelphia has climbed up the standings since the last time it faced the Wild, ranking 19th with 25 wins and 57 points. A 7-4 win over the Wild Jan.14 was the start of an eight-game win streak for the Flyers. Overall, the team is 9-1-1 in its last 11. Captain Claude Giroux leads the team in points with 59. Center Sean Couturier’s 23 goals are most on the Flyers.